Guardians of the Galaxy is of the most hotly anticipated movies of the summer of 2014, and it's not just because of eye-popping visuals or its quick sense of humor or even because of talking raccoons voiced by Bradley Cooper. No, it's because the latest Marvel flick has none other than Chris Pratt as its leading man, and ev-er-y-body likes upcoming EW cover guy Chris Pratt. Seriously, have you ever met a person that doesn't love Chris Pratt? If you have, that's someone you don't want to know. In Guardians of the Galaxy , the 35-year-old actor plays Peter Quill (better known as Star-Lord), and for audiences that haven't already known and loved Pratt since his Everwood days, they certainly will know and love him after GOTG arrives on August 1. And heck, you'll definitely know and love him by the time Jurassic World hits theaters in 2015. Chris Pratt is poised to become the mega-star he deserves to be (the huge success of The LEGO Movie was a nice boost in that direction) and I couldn't be happier about it. Chubby Chris Pratt or Totally Ripped Chris Pratt, take your pick. Or better yet, enjoy both. He looks great either way. It's all too easy to roll your eyes at so many Hollywood couples, but when it comes to Pratt and his wife of five years Anna Faris (in fact, they are celebrating their anniversary on July 9), you know this is the real deal. Pratt is so head-over-heels in love with Faris and he isn't afraid to share it. During a chat with Interview magazine, Pratt said of his wife, "I'm like, 'Oh my God, my wife is really cool, really hot, and really funny, oh my God.' What happened? I just want to know what terrible things happened in my previous life that give me the fortune to have this happen." He similarly gushed to GQ, "I married way out of my pay grade." In case that wasn't enough to cause you to swoon, he also french braids her hair. Sigh. Whether he's sharing adorable pictures and stories of their son Jack on Twitter or talk shows, the proud papa just radiates love. I mean, really, does it get any cuter than this? While Pratt will, no doubt, make an excellent leading man (he did some seriously brilliant voice work as the reluctant leader Emmet in The LEGO Movie), what's been so great about him thus far in his career is what a great ensemble player he is in so many different genres. Pratt may not have had top billing in dramas like Zero Dark Thirty, Her, and Moneyball, but his performances were memorable and nuanced. They're even more impressive considering Pratt is best known for his comedic work. Speaking of, he can also elevate just about any comedy. What's the best part of movies like Take Me Home Tonight and The Five-Year Engagement? You guessed it, Chris Pratt. Like a giant puppy come to life, there is no one cuddlier on TV than the character of Andy Dwyer on Parks and Recreation. Pratt will, no doubt, have plenty of impressive roles to his credit throughout his career, but in my heart he'll always be Pawnee's best shoeshine guy and Mouserat frontman Andy Dwyer. Sure, Andy is dopey, but he's also an incredibly kind and thoughtful friend and husband. Pratt is pure comedy gold and can level you with a simple glance or a painful-looking pratfall. Plus, he has one of TV's all-time great alter egos: Burt Macklin, FBI. 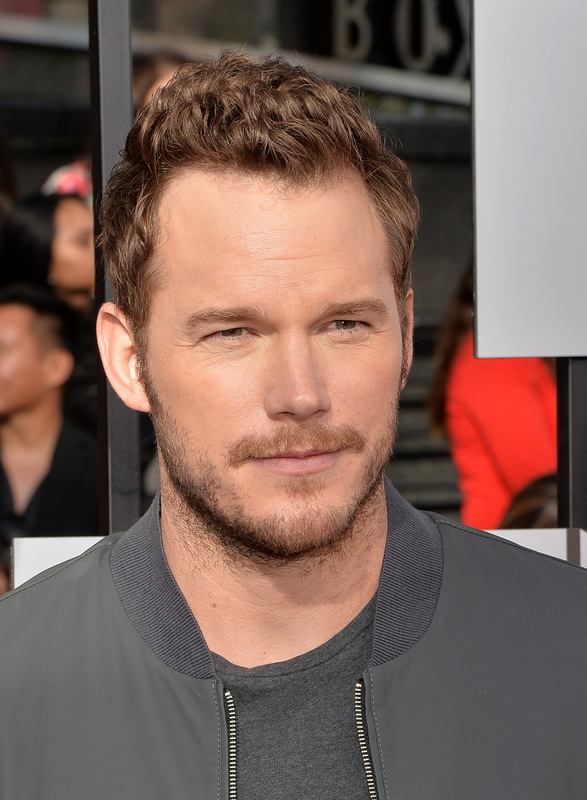 To the summer...nay, year...nay, the impending superstardom of Chris Pratt!